Relocating? 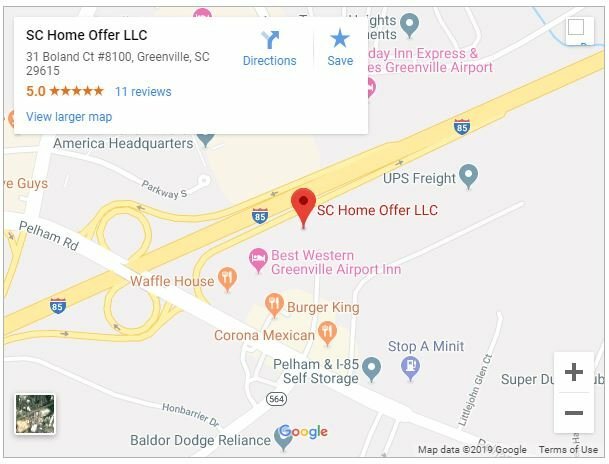 Need to Sell Your Greenville House? So, you found yourself relocating and aren’t sure what to do with your current house? It’s an unnecessary stress of many, especially military families in Greenville as well as other areas nearby. But don’t worry – we have a solution. We are giving you options on what you can do if you’re relocating and presenting pros and cons for all your choices. 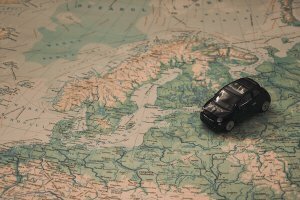 Don’t worry – relocating has never been easier! If relocating, you always have the option to sell your current house. But did you know that there is more than just one way of selling? We’ve researched the three most common ways of selling your property after relocating! Realtors are not cheap – be prepared to pay thousands of dollars in commissions. Selling your house independently will give you a chance to get more experience in the real estate market. This is a perfect choice for those confident in their selling skills. The hands-on approach and a networking experience. SC Home Offer LLC gives you a cash offer within one day and you can close it whenever you want. Your house can be sold in a week! If you need to sell your Greenville area house fast and would like to get a no-obligation cash offer, call us now at 864-506-8100. Whether you decide to sell your house to us or not, we would like to help answer questions you might have about the process. Pick the right tenants! You are able to run all necessary checks possible to ensure your future tenant is able to pay his or her rent. Prepare a ‘renting’ fund – make sure you are always able to afford any necessary repairs. Have you made your decision? Ready to sell your house? We can help! We buy houses, pay cash and don’t mind repairs! Don’t wait! For the fastest service, you can also reach me at 864-506-8100. Sell your Greenville house today and start planning the rest of your relocation tomorrow! I buy houses all over Greenville, SC, so in most cases, I can reach out to you on the same day you submit the form. I understand the difficulties of being a veteran and foreclosure is the last thing a veteran needs. But I’m ready to make your life a lot easier. Get your quote and sell your house today. The fastest service you can reach me on is my phone: 864-506-8100. Lucky for you, we buy houses in Greenville. We work fast to get you a no-obligation cash offer for your house within 24 hours. Our customers comment all the time about our soft approach. You won’t get a hard sell with us. If you are not completely satisfied with the offer we make to buy your house, you don’t have to accept it. No charge. No fees. Give us a call at 864-506-8100 or fill out the form below to get started.